Ceremonies can be held either outdoors or indoors. House sleeps up to 8 guests overnight. 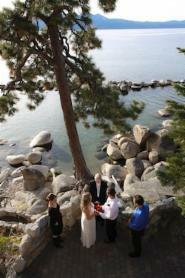 With an intimate knowledge of the Tahoe area we can help you pick the perfect location.